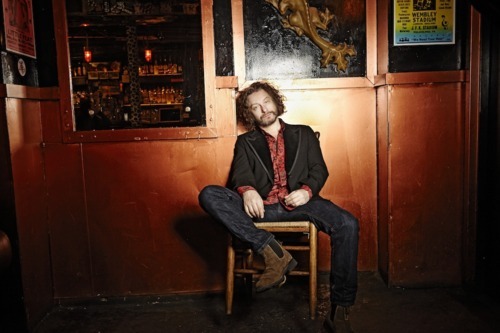 British singer-songwriter James Maddock has become a fixture in downtown New York’s folk and Americana scene since moving there ten years ago. Currently touring in support of his new album, Another Life, the raspy-voiced crooner and guitarist will be joined by keyboardist Oli Rockberger for an intimate concert on Oct. 5 at the Congregational Church of Huntington (30 Washington Drive, off Route 25A, Centerport) as part of the Folk Music Society of Huntington’s First Saturday Concerts series. After fronting the band Wood, whose debut Songs from Stamford Hill was featured prominently on TV shows such as Dawson’s Creek, Maddock moved from England to New York City. His 2009 release Sunrise On Avenue C won a New York Music Award for Best Americana Album, while its follow-up, Wake Up And Dream, ranked among the top albums of 2011 in WFUV’s Listener Poll. He’s performed with Bruce Springsteen, Willie Nile, Aaron Comess (Spin Doctors) and David Immergluck (Counting Crows), with whom he also recorded an album. Maddock also sang on an album with Susan McKeown, has appeared on CBS This Morning and The Late Show with David Letterman, and has been an artist in residence at Rockwood Music Hall, the Manhattan club at which he also recorded a live album. American Songwriter Magazine refers to Another Life, independently released this summer, as “an album that finds [Maddock] crooning an old-school folk ballad one minute and rasping his way through a rusty-edged pop tune the next.” The album’s 13 songs paint a portrait of a man reaching the midpoint of his life, a natural progression from themes in Maddock’s earlier releases. He’s looking back on roads not taken and isn’t always sure he chose the right one.